Trust me, it’s worth investing in high quality shearling pieces. They last a lifetime and will look amazing all season. 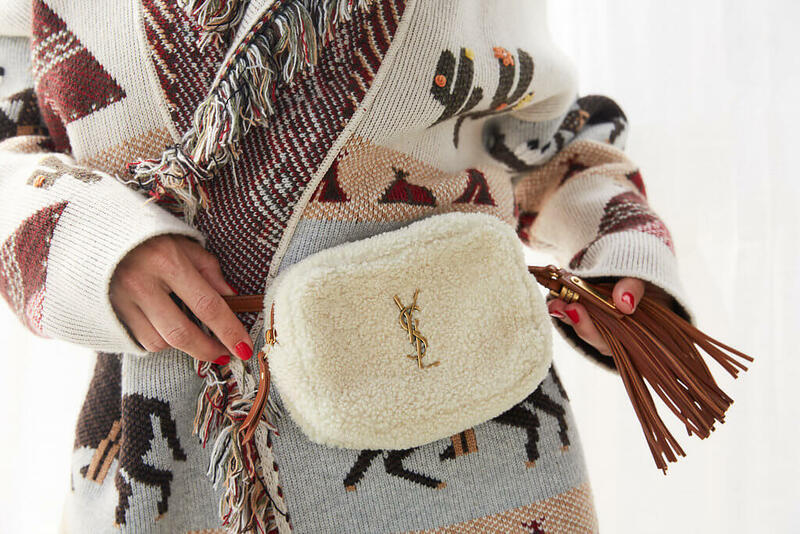 This cozy, comfortable, and classic trend is one of the most practical items you can buy. Models and celebrities have been obsessed with this trend and we are loving it! Have you seen Gigi Hadid’s pink shearling coat? Iconic. 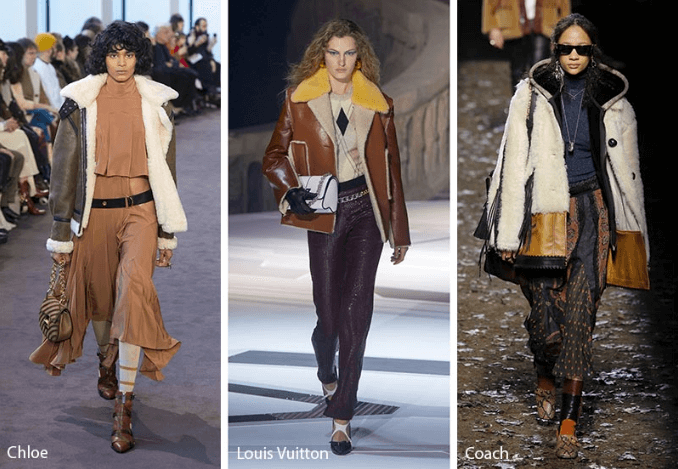 This fall, designers had a lot of fun with shearling coats. They experimented with colored shearling and we see a range of lengths and cuts. Chloe went for a classic shearling jacket look, while Louis Vuitton added a pop of color to their look with a gorgeous yellow collar. 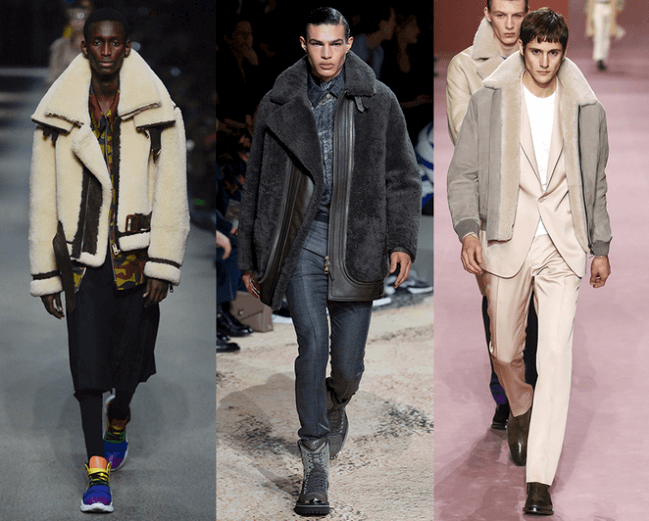 In the men’s fashion world, shearling coats were also popular on the runway. Shearling is one of those rare styles that look classy but still cool on absolutely everyone. 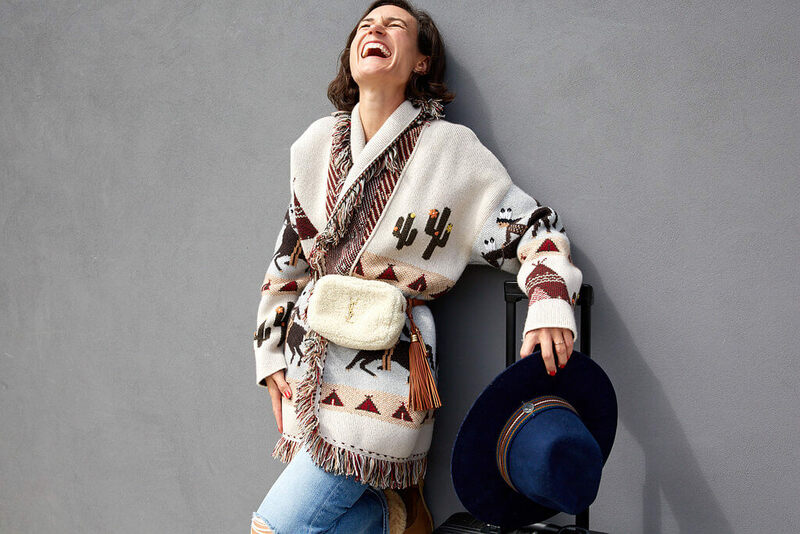 There are some trends that seem to only look good on the runway, but shearling can transform you into an off-duty model. Shearling has been a luxe material since the Iron Age (750 BC)! The quality of your shearling indicated your social status in the group. The style was popularized in America in the 1940’s after pilots wore shearling bomber jackets. Shearling comes in all shapes and forms. As a coat, it should be a statement piece. You can layer it overtop a cool graphic-t for a cool, relaxed vibe, or go for a polished look with a sleek turtleneck. For a cozier look, pair it with a colourful sweater. 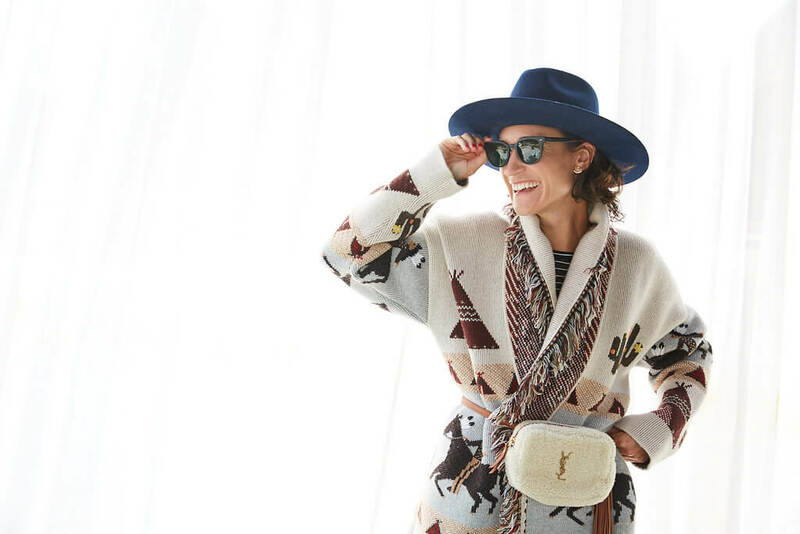 It is the ideal coat for creative layering. Distressed denim will always pair with any shearling piece, and if you’re not already wearing shearling boots, a leather or suede boot will pair perfectly. Mixing in another texture with your handbag will tie together your outfit beautifully. You can accessorize shearling looks with a cute knitted beanie, colorful scarf, or your favorite pair of sunnies! 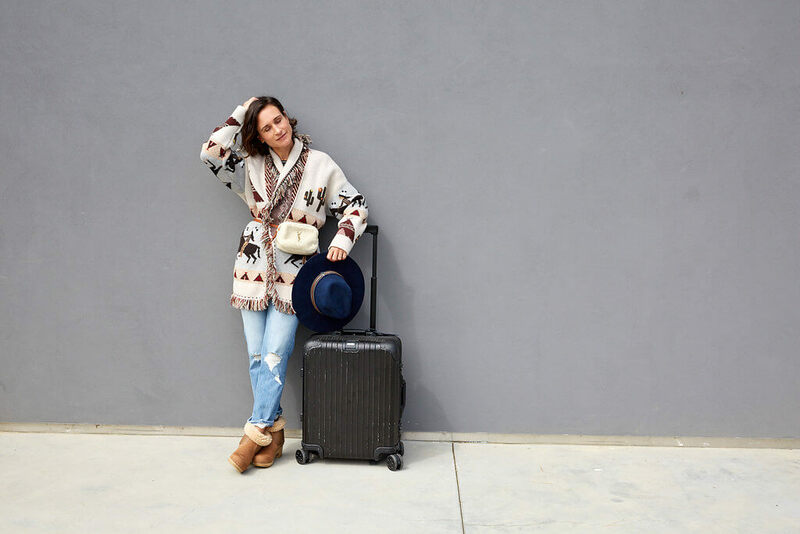 Sometimes you have to choose between looking stylish and being comfortable, but luckily you can do both this season while wearing shearling!